When it comes to technology in the medical world, the realm of science fiction offers far more options and advancements than in real life for obvious reasons. 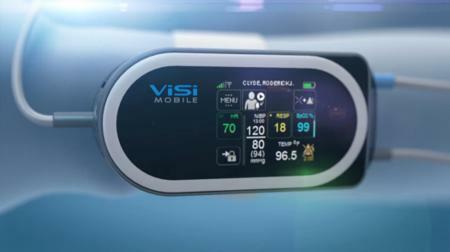 Well, perhaps truth is about to catch up with fiction (with some miles left to go, of course) with the introduction of the ViSi Mobile monitor that will display the vital signs of a patient. The ViSi Mobile monitor is the brainchild of the good people over at Sotera Wireless of San Diego, California, where this wearable sensor pack will rely on tried-and-tested Wi-Fi technology, where it will enable doctors who get around with a tablet or smartphone in tow to be able to remotely monitor patient vital signs without sacrificing on accuracy, so much so it is said to offer the accuracy of an intensive care unit.